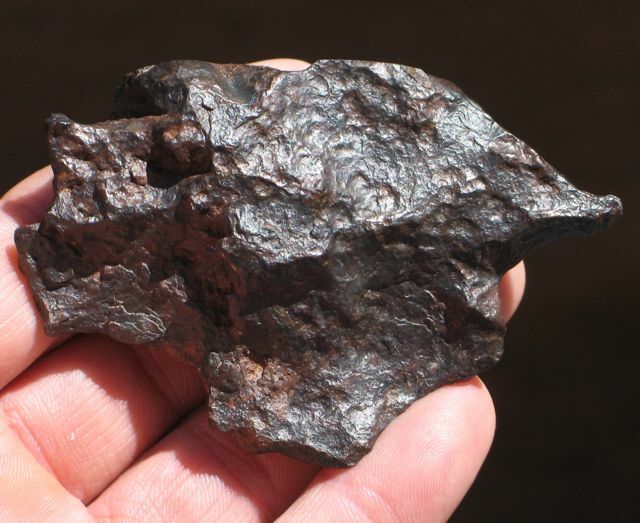 Stunning new Saharan Iron NWA 4704 specimen is an extremely Rare IIIE iron (only 14 other IIIE irons are known to exist!) 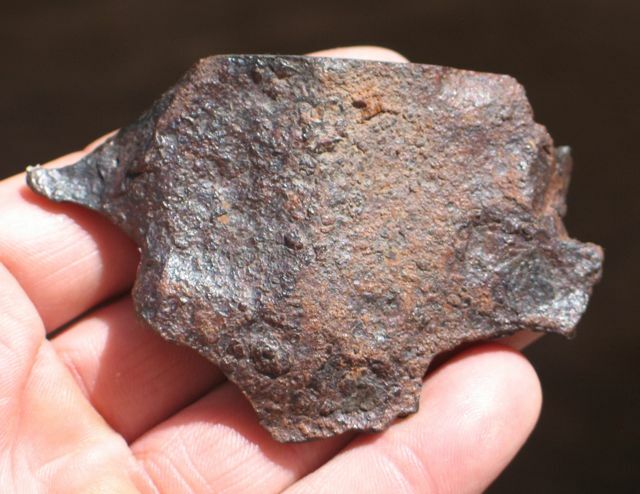 NWA 4704 is the Official name for this lovely IIIE, iron meteorite from the Saharan desert. Petrography: Bands are short, swollen, but no inclusions visible in the centers. No FeS or schreibersite identified. 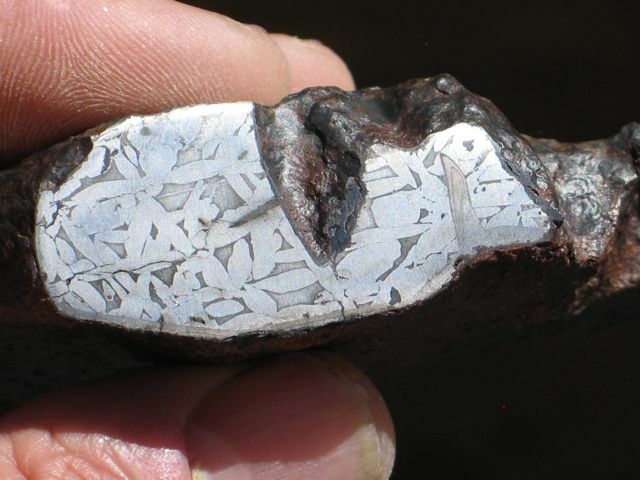 Sample crossed by small cracks showing oxidation (very minor) at edges. Plessite, mainly dark gray or finely banded, is abundant, ~33% of area. No heat altered zone. Kamacite bandwidth ~0.7 mm. Geochemistry: Co (mg/g) 4.89, Ni (mg/g) 89.0, Ga (µg/g) 17.5, Ge (µg/g) <60, As (µg/g) 4.73, Ir (µg/g) 0.149, Au (µg/g) 0.86. NEW! Superb, 248g Thumbprinted NWA 4704 Main Mass! Price: Please enquire!